Ubisoft has a history of teasing upcoming releases in its own games, could this be the latest? Update: According to Kotaku, the Viking Assassin's Creed seemingly teased in this Easter egg is legitimate. 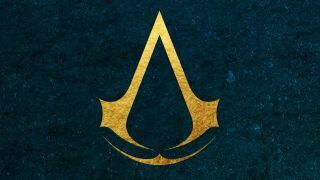 Kotaku says it heard from "two independent sources familiar with the game" that the Assassin's Creed entry coming in 2020 will indeed be set in Viking times. It's still unconfirmed, mind, but the bread crumbs are piling up. Break out your specially preserved rumor salt, because this one's as curious as it is tenuous. A newly discovered Easter egg in The Division 2 may be teasing a Viking setting for an upcoming Assassin's Creed game. As spotted by wiki user AlifMorrisonudin, a poster in The Division 2 features a soldier holding what looks like an Apple of Eden, one of the artifacts in the Assassin's Creed games. The soldier is also wearing what appears to be a Norse-style helmet, and the poster itself is titled "Valhalla" after the Norse afterlife, hence the Viking connection. If you tighten your aluminum foil thinking cap, this Easter egg seems to go even deeper. A scrap of lore from Assassin's Creed 2 suggests that the golden apples which often appear in Norse mythology are in the fact the Apples of Eden, so it's not as though Vikings are totally foreign to the series. And if you really dig, you could argue that the red and white robes worn by the soldier in the poster are reminiscent of the assassin garb from the Brotherhood-era Assassin's Creed games. Does this mean we'll see a Viking Assassin's Creed game in the near - or even far - future? Absolutely not. People have long speculated that the next Assassin's Creed game will be set in ancient Rome - around 400 years before Assassin's Creed Odyssey, if you're wondering - and we are talking about a single poster here. That said, it is a bit of an eyebrow-raiser, and Ubisoft does have a history of teasing upcoming releases in new games. I certainly wouldn't complain if Ubisoft did make a Viking RPG in the style of Odyssey. And if Assassin's Creed does follow the Norse winds, I imagine the resulting game would have to be in the style of Odyssey rather than the older games. Vikings aren't known for their stealth, so I reckon they'd make terrible assassins. Hungry for more concrete secrets? Here's where to find all the Division 2 hidden side missions.